Here we have a VERY RARE Omega Seamaster Black Tulip Ceramic For Sale. 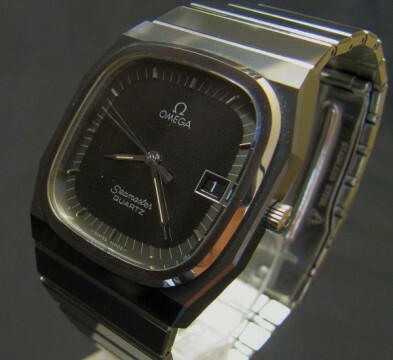 One of the rarest production Omega watches ever made! 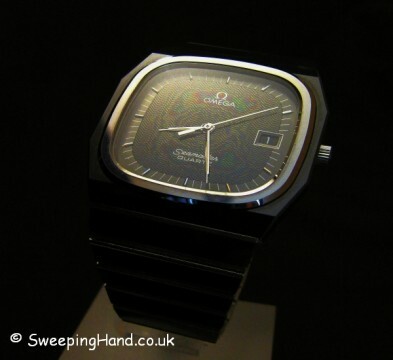 The Omega Seamaster Black Tulip was produced in such tiny numbers in the early 80’s that it is very difficult to even find any information on it! You will however find one other, although you will have to go to the Omega museum in Bienne, Switzerland! Ten years of research into this vintage Omega Sea Master culminated in an extremely short production run in 1981. Available by special order only and at a price almost 5 times that of the Omega Speedmaster! 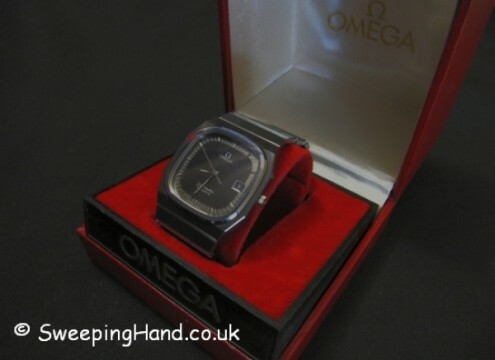 This rarest of all rare Omega has a case made entirely from dark grey/black ceramic with an integral stainless steel link bracelet fitted with dark grey/black ceramic tiles. 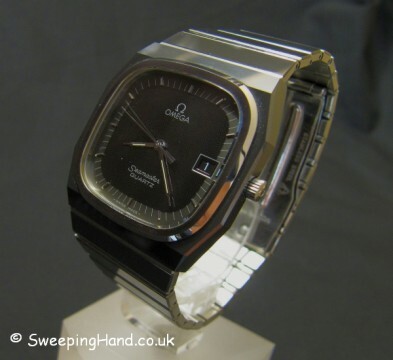 Omega calibre 1420 quartz movement as fitted to most models at this time and with an alluring almost square black wave dial. 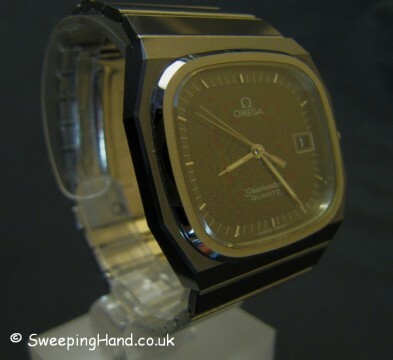 Vintage Omega for Sale rarely include this watch. So if you want a watch that none of your friends will see anyone else wearing, ever…then this is the one! PLEASE NOTE MY PICTURES DO NOT DO THIS WATCH JUSTICE! I WILL TRY AND TAKE SOME MORE AND ADD BELOW. 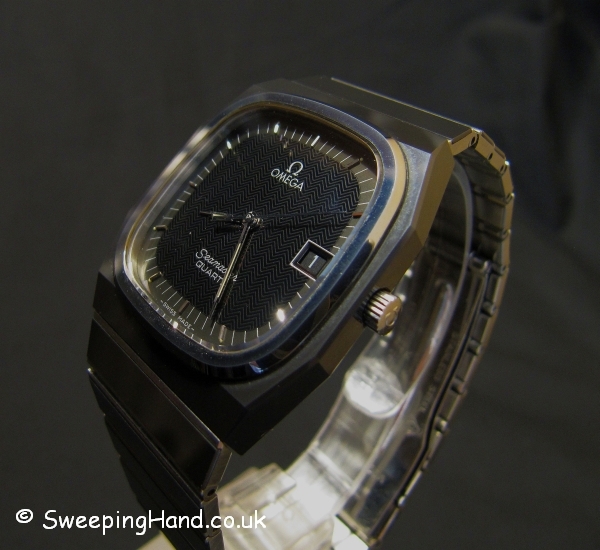 Dial & Hands: Original flat black Omega wave dial with raised hour markers, date function and matching hands. 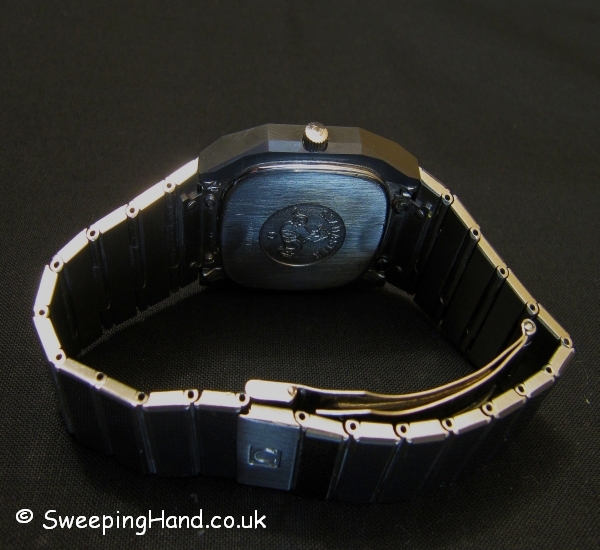 Case & Caseback: Uber rare black/grey ceramic Omega case with Omega hippocampus case back. Bracelet: Steel link Omega bracelet with black/grey ceramic tiles and decorated Omega clasp. Movement: Original calibre 1420 quartz date movement working as it should. Box & Papers: Comes in an original rare Omega presentation box.